Invest in paradise! Buy today to build tomorrow or keep as an investment. 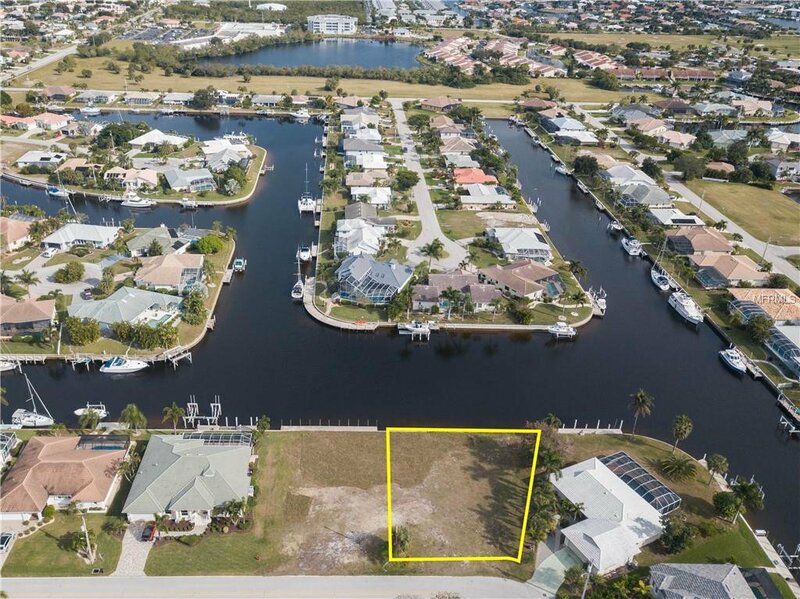 Seize the opportunity to own this oversized, waterfront lot in Punta Gorda Isles w/120 ft of waterfront. Lot offers quick sailboat access - reach open water in less than 10 minutes from your backyard. The size of the lot provides the opportunity for a big house AND a 3 car garage. Start living the Florida dream by enjoying some of the best fishing & boating in SWFL from your backyard. Located in the heart of Punta Gorda Isles and close to the charming historic district & Fishermen's Village w/its charming shops & waterfront dining. Listing courtesy of RE/MAX HARBOR REALTY. Selling Office: RE/MAX HARBOR REALTY.